The background of KCBT's twitter page has a good trading pit photo that I thought was worth linking. 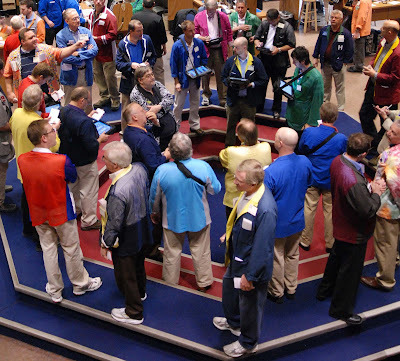 I'd estimate that 95% of the people in the photo were trading there when I was a clerk back in 1998/99, now of course the only difference is the computers that come into the pit. Click on the photo to enlarge it for more detail.